The annual commemoration for the Vietnam War will be marked on Saturday 18 August with a remembrance service at the National War Memorial, says Manatū Taonga Ministry for Culture and Heritage Chief Executive Paul James. 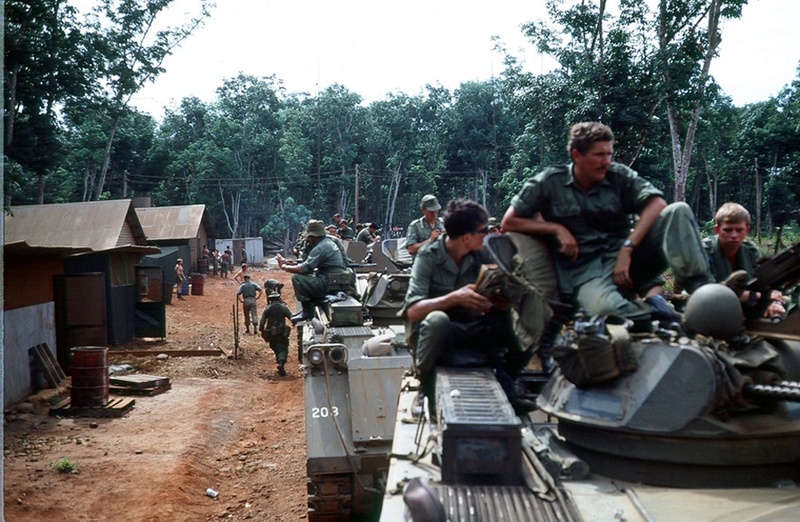 New Zealand soldiers of W3 Company about to head out on Operation Townsville during the Vietnam War, 1970. Image courtesy Chris Stock. See more images from this collection at VietnamWar.govt.nz. “Members of the public are welcome to attend the commemoration beginning at 11.00am to find out more about this country’s involvement in the Vietnam War and reflect on the sacrifice of our military and civilian personnel,” Paul James said. “Sometimes referred to as the Second Indo-China War or the American War the conflict lasted from about 1960 until 1975 involving more than 3000 New Zealand military and civilian personnel. “Described as the longest and most contentious military experience of the 20th century, 37 men died while on active service and 187 were wounded. Two civilians serving with the New Zealand (Civilian) Surgical and New Zealand Red Cross teams also lost their lives. “Saturday’s ceremony will be attended by the Minister of Defence, Hon Ron Mark, Vietnam War veterans, representatives from other veteran organisations, members of the diplomatic corps and members of the New Zealand Defence Force. “The commemoration will include wreath laying to remember the New Zealanders who served and died, reading out the names from the Roll of Honour and the Last Post,” Paul James said. More information about New Zealand’s involvement in the Vietnam War is available on Manatū Taonga’s New Zealand History site. People wishing to attend Saturday’s commemoration are asked to be at the Hall of Memories, Buckle Street, at 10.45am for the 11.00am start.